In second grade, Mrs. Poole asks our narrator to show the new girl around school. 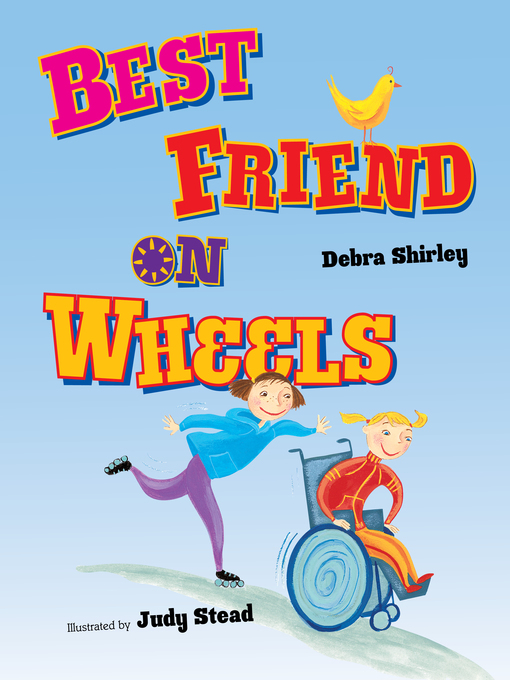 Imagine the surprise when our narrator first meets Sarah—Sarah uses a wheelchair! For a moment, our narrator feels awkward. Then she sees a button Sarah wears. It says "Rockhound" on it. "Do you collect rocks?" Sarah says she does! "So do I," says our narrator. And soon it's clear that these new friends are more alike than different. They scrapbook, draw cartoons, and even go hot-air ballooning. Lively verse and bright pictures celebrate this very close friendship.